The equations to compute the constants of motion come from W. Schmidt’s Celestial mechanics in Kerr spacetime. A method to compute the orbital frequencies can also be found in that work but that method requires numerically integrating various equations. 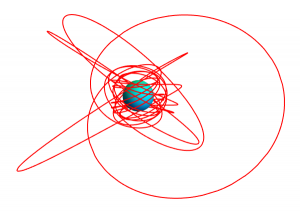 Instead I use equations in terms of elliptic integrals from Fujita and Hikida’s Analytical solutions of bound timelike geodesic orbits in Kerr spacetime. 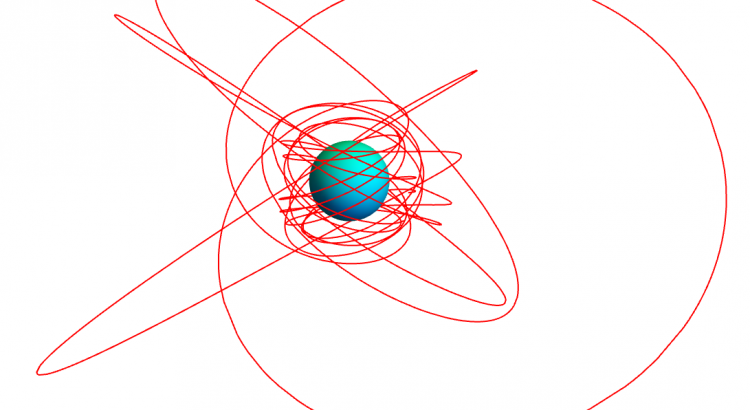 Limitations: Not all parameters will lead to bound stable orbits. 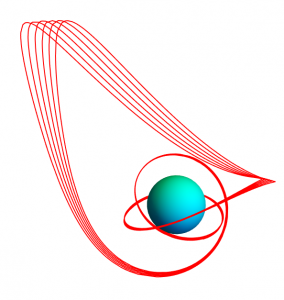 The code will not warn you of this, in part because calculating when a set of parameters leads to a stable orbit is not straight forward for generic orbits. Instead you will get NaN’s (Not a Number). Also the code gives an error for the Schwarzschild \(a=0\) case. It’s on my todo list to fix that (note you can put in very small values of \(a\)). I also have C and C++ (arbitrary precision using Arb) implementations but they need a little tidying up before public release.